This topic contains 4 replies, has 2 voices, and was last updated by info52 2 months, 2 weeks ago. Client calls me: he can no more generate PDFs.The whole company stands still. The license-key mentioned in my account seems to be the activation key for the plugin on my client’s site. When I try to enter the activation key, I receive: This licence code is not valid…. What goes wrong? Did you change your Licensing? It appears you license expired yesterday, February 6th, the expiration data is in U.S. format… As a courtesy we have extended the expiration date though tomorrow to allow time to renew the plugin. Sorry for that, and thank you for your immediate help. Kind go “presale-question”: In the renewal-order pulldown, I see the possibility to renew the license up to 5 years… Is there the possibility to AUTOMATCALLY renew from year to year until automatic renewal is cancelled? Unfortunatlly, not at this time, we hope to add a auto-subscription soon. 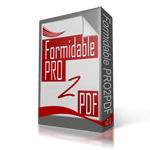 Thank you for continuing to use PRO2PDF! Just a litte feedback: The mapping tool for formfields to PDF-fields is very helpful, especially the litte THUMBNAILS generated from the PDFform, ingenious for controlling a huge amount of fields….